Inspired by WeWork, a co-working company that aims to inspire creative people to do what they love, we are presenting Part I of our current workspaces; stay tuned for Viva La DIY Workspace :: Part II. An optimal workspace would ideally best fit an adaptable office or studio, albeit mine resides a corner of my room that remains concise yet functional. 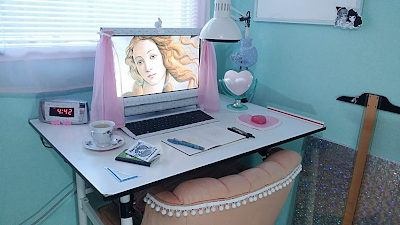 Behold the goddess Venus, surrounded by seafoam walls and delightful DIY and handmade accents include my favored aspects. 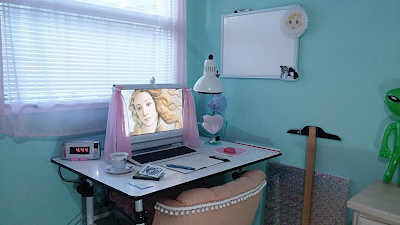 My ultimate dream space is feminine, minimal, and spacious with soft tactile elements that include fuzzy and velvety textures. 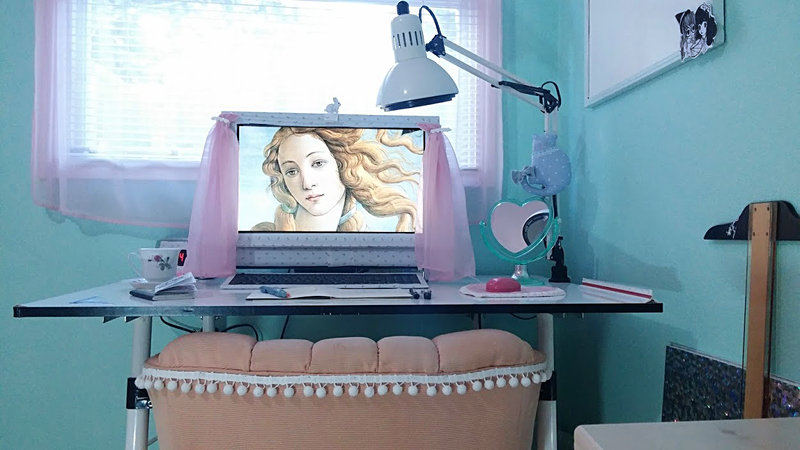 We'd be glad to know about your creative design inspirations. What does your dream workspace look like? 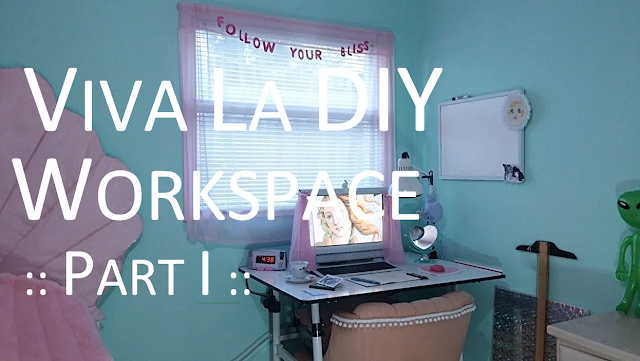 This is such a cute workspace! The colours are just beautiful!